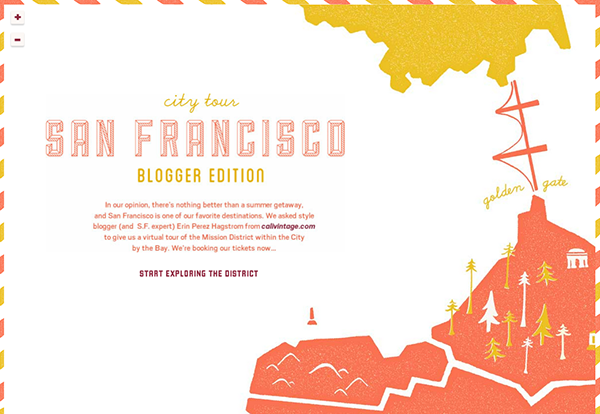 calivintage + fossil san francisco city tour! today i am very excited to share my latest collaboration with fossil.com! they contacted me a couple of months ago asking if i’d be interested in sharing a few of my favorite sf spots, so i happily made a day of it and took a quick trip to the mission district in san francisco to snap a few photos of my favorite shops. i sent over the pictures with some quotes and recommendations, and was absolutely blown away with the finished result! 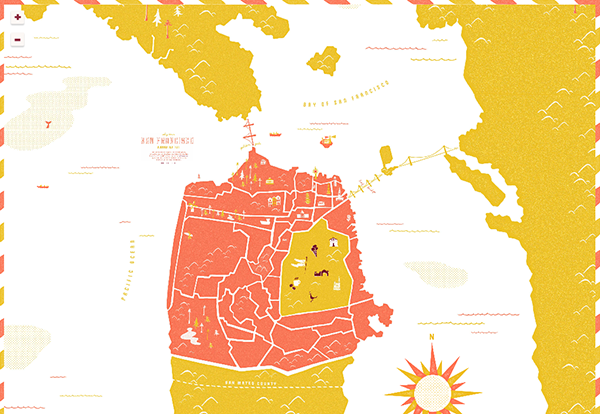 they created the most adorable animated interactive map of san francisco in the pretties shades of mustard and pink! it’s so cute that i want to print it out and hang it on my wall. 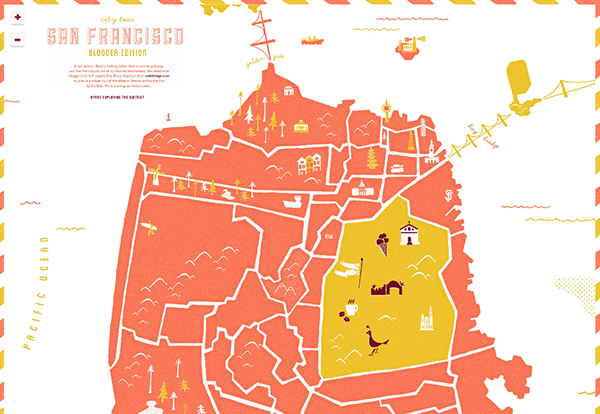 i’ve attached a couple of screen shots to share, but you’ll have to click here to play with the map and discover some of my favorite sf spots! I am a proud San Franciscan who is now living in Puerto Rico and this makes me miss my favorite city so much! this is really cool, and the design of it…its really marvelous! Wow! How exciting and super cute. I’m finally going up there again and I will definitely be hitting some of these places up.